You need voice recordings, and you can't wait weeks to receive them. You'd like some assistance selecting the right talent. A review of your script language would be helpful to make sure you're stepping off on the right foot. And, you need the files formatted for you…there's no time for you to decipher telecom audio file conversion. Good news! We're here to lend a hand with as much or as little help as you need. We're agile, and will adapt our offering to accommodate your specifications. We're responsive, so you won't need to worry over timelines. We possess an expertise others don't, so recommendations we make will positively impact the overall customer experience. 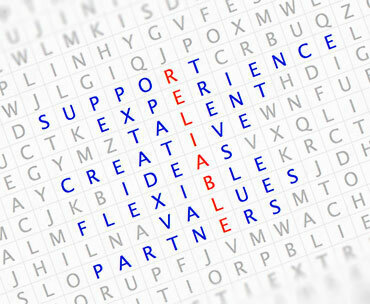 And we know your format and create a reliable, repeatable process for ongoing support. Best of all, we can do all this at a figure that won't break the budget. Walsh Media was founded in 1985 under the trade name Jingle Phone Productions, by Tim Walsh. Originally, Jingle Phone developed radio commercials and professional phone voice recordings for business applications such as Voice Mail and Auto Attendant applications. Tim's pioneering of Message on Hold soon followed, and our Chicagoland business quickly became one of the first in the country to successfully provide these productions to corporations across the nation. When automated technology for contact centers took hold, the door swung wide and the market for professional voice recording solutions grew, as did Walsh Media. Our staff now provides Voice Project Management for a variety of applications, and includes Persona Design, Touch Tone and Speech Rec IVR support, Call Center recording support, web audio, audio for professional communications and eLearning. We love creative solutions, and look forward to helping shape the way the world hears you. "The replacement audio files were installed last week and what a difference they made. The whole app just sounds so much better. The messages you fixed weren't major ones...but I guess it only takes one bad apple. Thanks for your continued partnership and support." "My team has been slamming yours with back-to-back requests, many of them requiring immediate address. [Your team] has been outstanding in their partnership and dedication to rapid delivery." "It sounds awesome—and I pretty much went with your producer's alt takes. It sounds much smoother and more conversational. Thanks again for the high-quality work!" "Our system went live on Thursday and sounds wonderful! Thanks for the high quality product, and your handling of our requests. We are currently planning to expand our system capabilities, so I look forward to working with you in the future." We believe that what you do matters. It matters that you pick up the phone. It matters that you respond promptly. And it matters that you do your level-best every single day. It really is that simple. It's Common Sense. So, when it looks like your application will benefit from our experience, we'll offer you suggestions to enhance the verbiage. If you need quick turnarounds, we're going to work like crazy to make it happen. Not sure how to convey your brand? We'll collaborate with you to define your talent and script needs, within a reasonable budget. We won't just let the voice session happen. We'll explain to the talent what you're looking for and coach them to do it right the first time. How we perform, the information and knowledge we share, and the details we sweat all matter, because it impacts your clients, your company, your coworkers and you. It's Common Sense to step up and do your best even if it means more effort, because the process that "seems easiest" is not always the one that yields the best result.